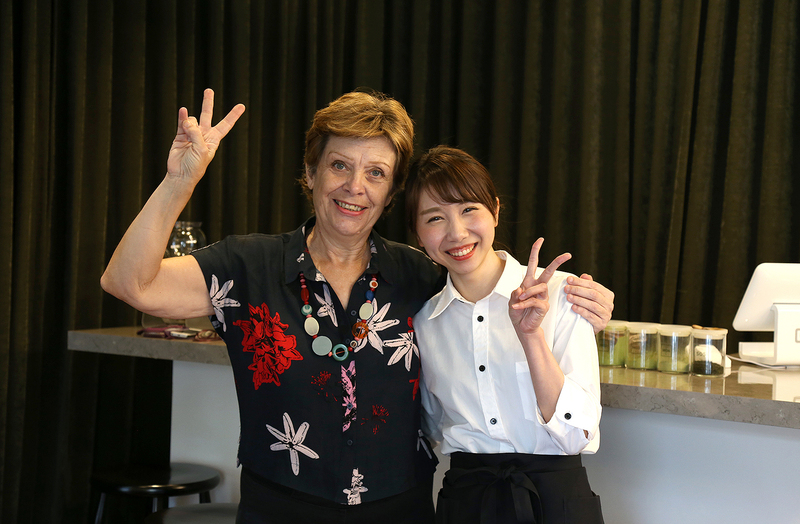 We are greeted by Rie, a Tea ceremony expert from Japan as we entered into the slick Japanese tea studio, Harvest Index. A clean minimalist interior with dark matcha coloured velvety drapes, a wall of single rows of perfectly displayed tea boxes and a table full of tea accessories, whisks, bamboo teaspoons and matcha powers, ranging from light to dark shades of greens and other variety of loose green tea leaves. 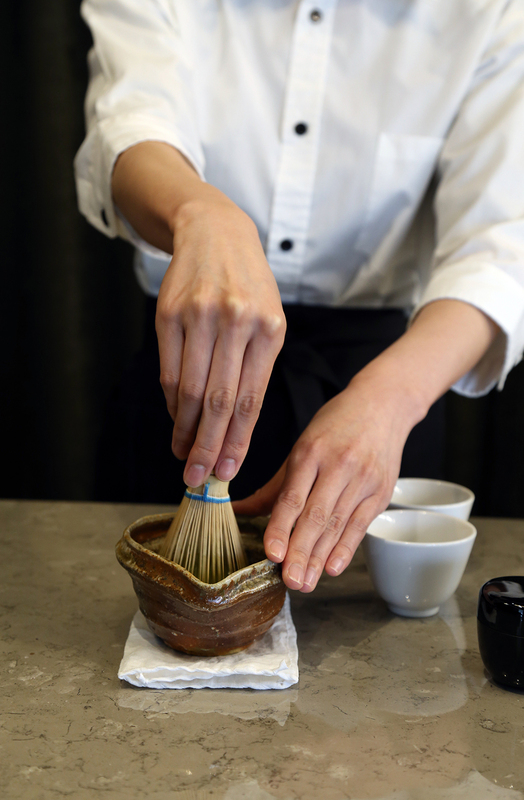 We are seated by the bar, which is the central focus of the interior, while Rei starts preparing the seasonally sourced graded teas, from Matcha, Sencha to Genmaicha, Hojicha, Wakocha and Mizudashicha. This intimate experience has a relaxed "Yuttari" vibe, which means to feel relaxed in Japanese. Filtered water is boiled to a perfect temperature depending on the tea. 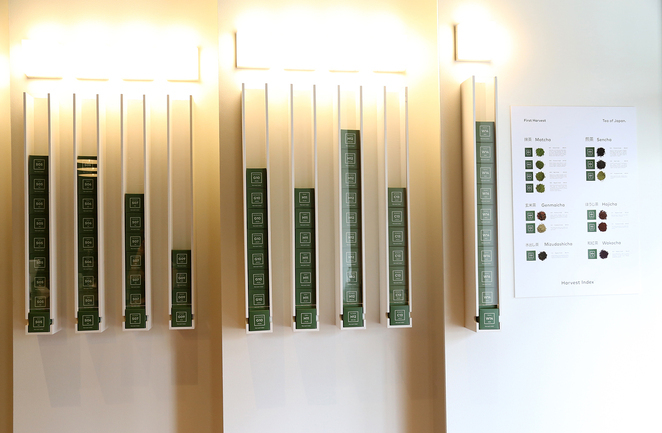 Harvest Index teas are sourced from a 350-year-old tea plantation from Kyoto's Uji region. 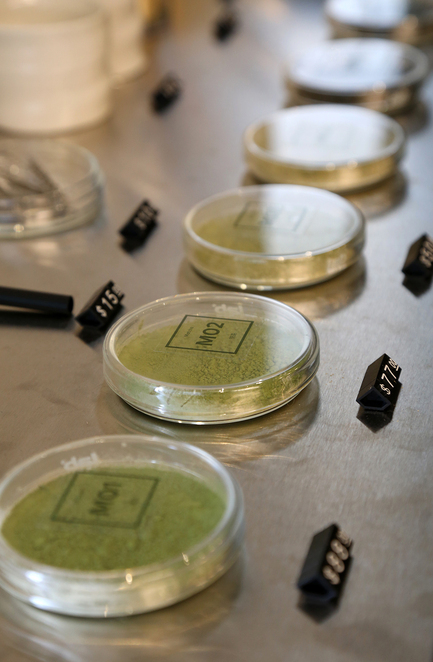 The store sells six types of organic teas in different grades all coded, M01 being the purest form of matcha. 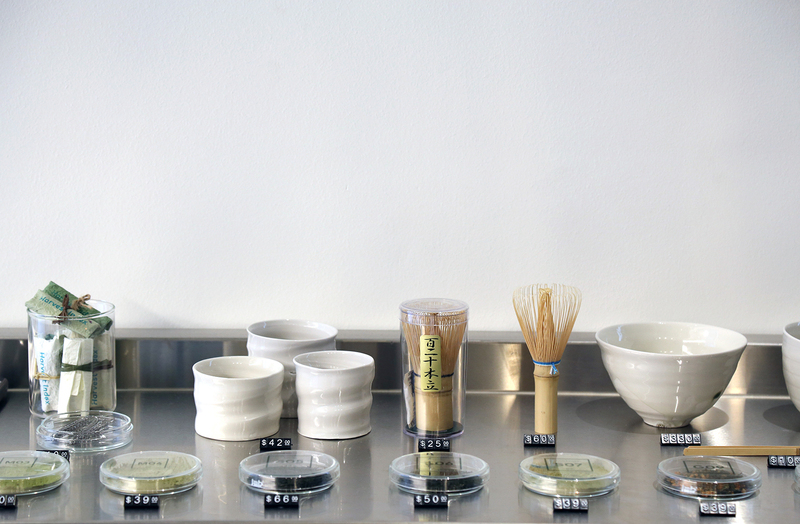 Hand-crafted ceramics and tea brewing equipment by Hario are on display and available for purchase. The owners, Benjamin Wright and Lachlan Sinclair, are on a mission to educate tea drinkers and share the art of Japanese tea ceremony. Rie created a custom session for us based on which teas we were interested in. The session involved demonstrations of both hot and cold brewing techniques and the various equipment required. Allow for 30-45 minutes as you experience the flavours between each cup as conversations flow. We started our tasting with the Genmaicha G09, this sencha tea is blended with roasted brown rice and has less caffeine. The Mizudashicha or G13 was a smooth cold brew sencha, with a slighter sweeter taste due to the water temperature and brewing time. 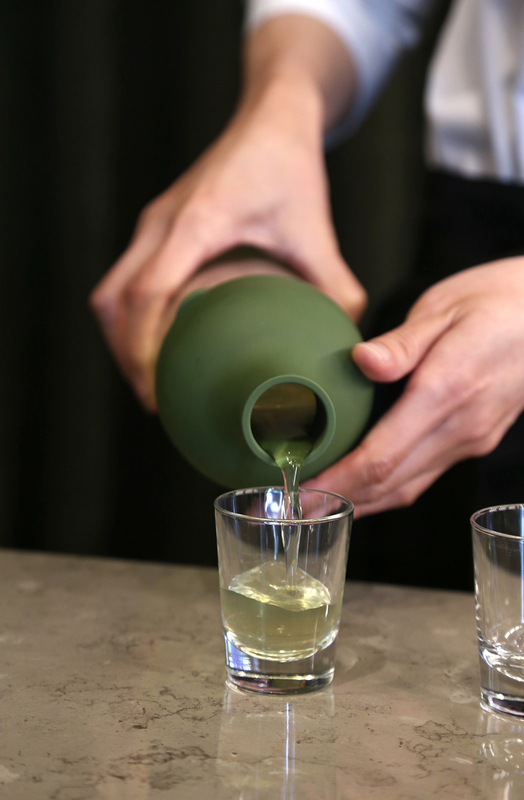 Finished off with the matcha tea M01, which Rie delicately whisked to create a light and foaming tea of the highest matcha value. At $88 it has to be the best quality matcha powder. At this stage, sessions are free but bookings are essential. You can book via the website or on a quiet day, walk in to experience tea tastings like no other. Why? 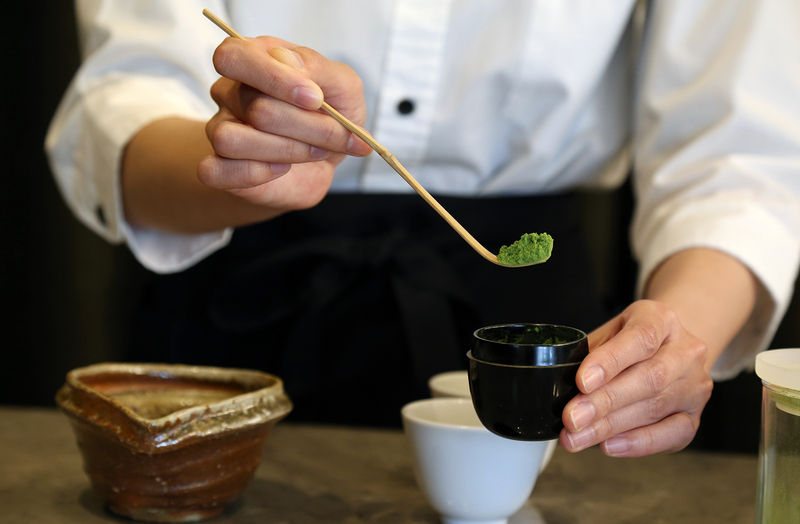 A Japanese tea tasting experience like no other!